Herbivores generally benefit from increased plant nitrogen content, because the nitrogen content of animals is much higher than that of plants. Consequently, high plant nitrogen alleviates the profound stoichiometric imbalance that herbivores face in their diets. Parasitic plants provide the opportunity to test this generalization for consumers across kingdoms. We fertilized two microhabitats in a California salt marsh that were dominated by Salicornia virginica or a mixture of S. virginica and Jaumea carnosa. 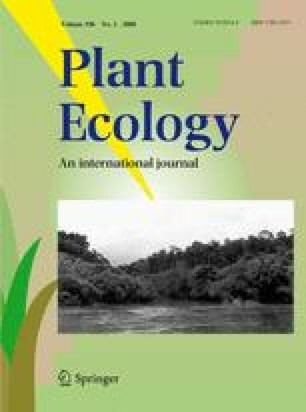 The nitrogen content of both host plants and of the holoparasite Cuscuta salina (dodder) increased in fertilized plots in both microhabitats. Cuscuta preferred to attack Jaumea, although Jaumea had lower nitrogen content than Salicornia. When host nitrogen content was altered by fertilizing plots, however, the percent cover of the parasite doubled. Although parasitic plants and their hosts have similar tissue nitrogen contents, suggesting no stoichiometric imbalance between host and consumer, parasitic plants do not feed on host tissue, but on host xylem and phloem, which are very low in nitrogen. Consequently, parasitic plants face the same dietary stoichiometric constraints as do herbivores, and both herbivores and holoparasitic plants may respond positively to increases in host nitrogen status. We thank Wayne Ferren and Andy Brooks for facilitating our research at the Carpinteria Salt Marsh, and Ragan Callaway for his long-standing collaboration on work at this site. We are grateful for funding from NSF (DEB-0296160 and OCE99-82133) and from a Mildred E. Mathias Graduate Student Research Grant from the University of California Natural Reserve System. We thank Ragan Callaway, Emily Marquardt and an anonymous reviewer for helpful comments on the manuscript. This is a contribution of the Georgia Coastal Ecosystem LTER program.